After spending Christmas with my family in North Carolina, it was time to head back north where I have officially moved to DC. Road trips are always trying- especially when dealing with holiday traffic, but I looked forward to stopping for lunch in Richmond, Virginia because it would be an opportunity to explore a new restaurant there. After combing for a good place to stop for lunch, Citizen Burger Bar kept coming up as a great place to find gluten-free eats. When I saw they had gluten-free buns and a dedicated fryer, I knew this would be a hit. 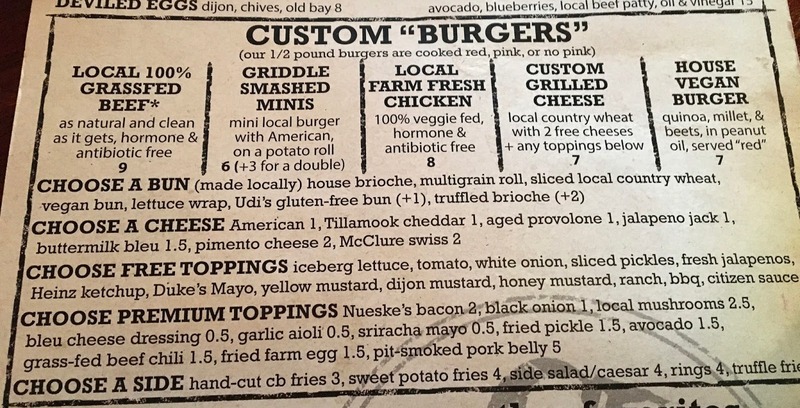 Citizen Burger Bar not only has options for those on special diets, they also have a constructed a menu off of a core belief that good burgers need good ingredients. CBB sources local ingredients and uses hormone and antibiotic free meats to craft burgers that don't just taste good, but are good for you too. When I mentioned that I came specifically because I had seen great gluten-free options, my waiter explained that they take gluten allergies seriously. They prepare orders in a separate part of the kitchen, and use clean utensils to ensure orders are handled safely. 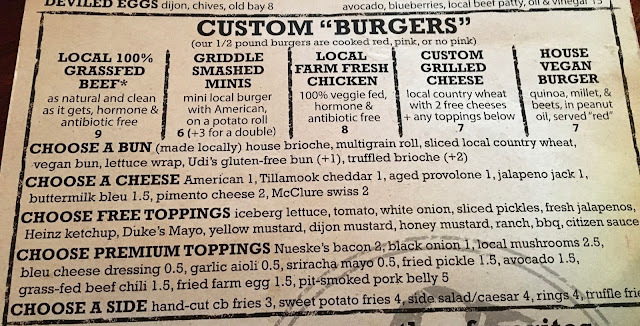 Gluten-free diners can choose how they want their burger served: either on an Udi's bun or in a lettuce wrap. You can even choose your "patty" substance too! Chicken, turkey, beef, and a vegan burger are all options. Dairy-free folks should opt for their burger to be cheeseless, as they don't have a dairy-free cheese option. For a side, both the sweet potato and hand cut fries are made in a dedicated fryer, which means they are totally safe! I ordered the turkey "byrd" burger on the gluten-free bun, which is named for a historic movie theater across the street. It comes topped with red onion, arugula, and dijon mustard, but I had to request it without cheese to make it dairy-free. The burger was perfectly seasoned, and the toppings were a perfect complement to give added flavor and texture to every bite. Beyond the burger's contents, the bun earned top marks, which rarely happens at burger places. It was big enough to look "normal" (I'm so sick of small buns for regular burgers), and did not dissolve or crumble as I was eating. It's taste and texture delivered the full experience of eating a burger, and I like that I don't have to qualify it as "good for gluten-free" and can just hail it as good, period. 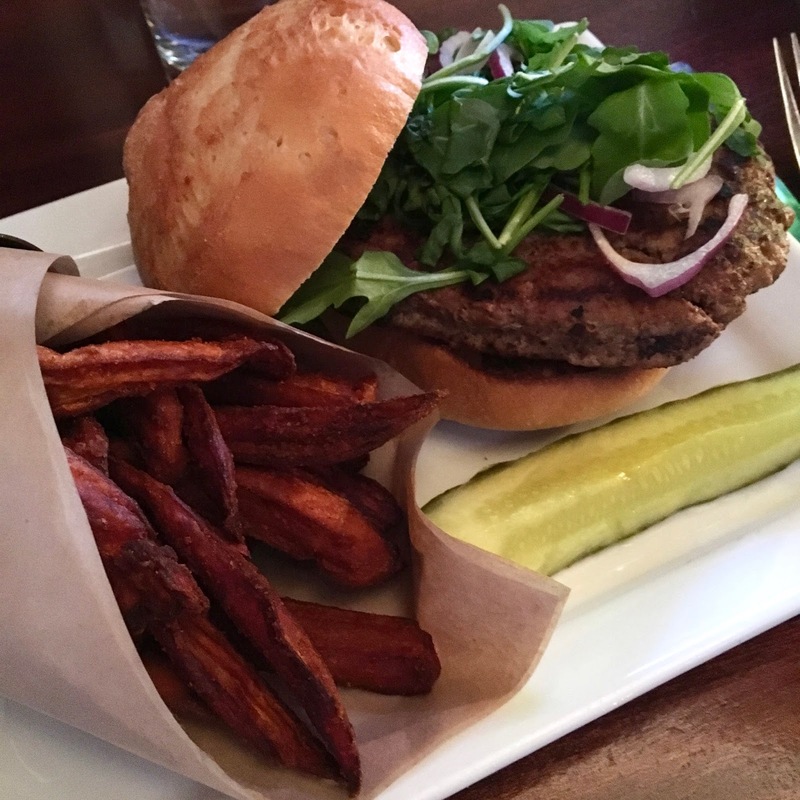 Although they were considered a "side" to the burger, the sweet potato fries are more of an equal partner than second fiddle. Thick cut and fried to absolute perfection- fluffy on the inside and crunchy on the outside- the fries are totally satisfying and completely irresistible. They are perfectly seasoned, and generously portioned. This may sound weird, but it's so incredible to have an experience where I can dine out and feel totally normal. 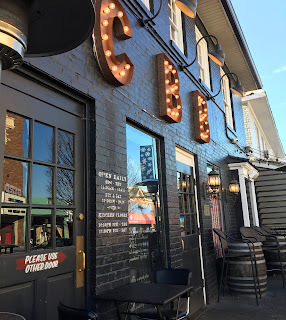 Between the can-do attitude of Citizen Burger Bar and their incredible gluten-free burgers, this is definitely a spot to stop by if you are craving an all-American meal. Definitely come for the burgers, but stay for some of the best sweet potato fries that I have tried in all my travels!